October is one of my favorite months. Trees begin to change, the weather starts to become cool and it’s the perfect time for nice walks in the park. 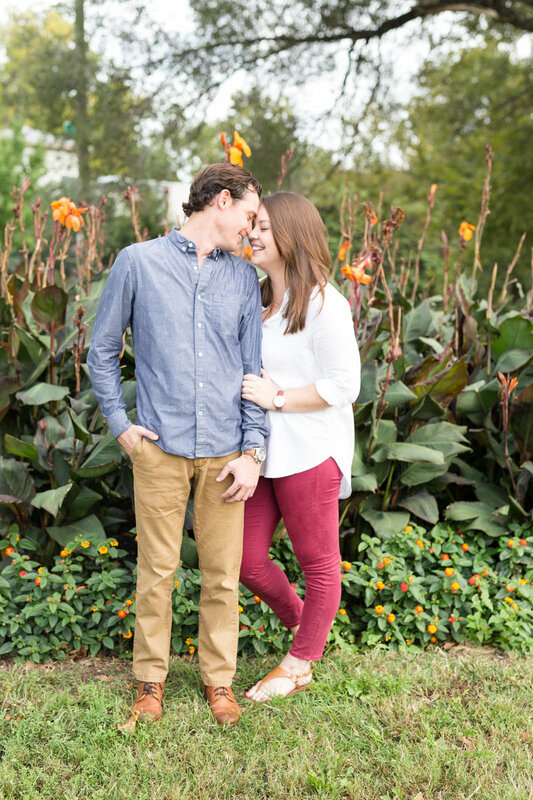 My October started out with a lovely walk through the park with my happy couple Jacob and Andrea! 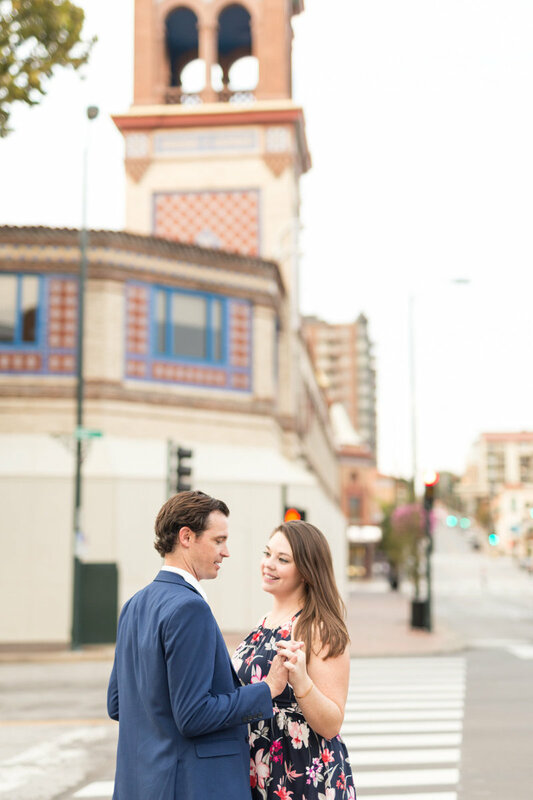 The park down the street from their home was the perfect location to celebrate their engagement. This park was always a go to for them. With their fur baby Cali in tow they often walk and watch the seasons change. Of course. 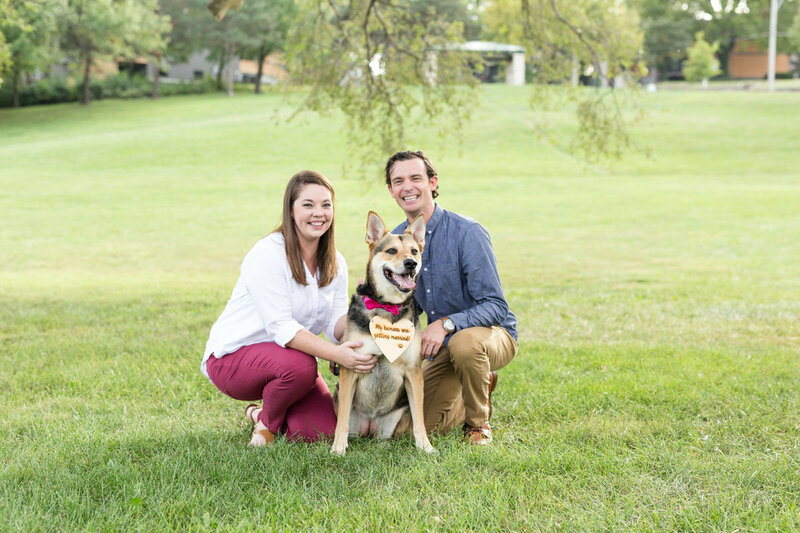 Cali was eager to be at the park with her happy parents as usual. She posed for some pictures, played a bit and enjoyed watching others in the park. We continued our walk and found places that though the park was full of people gave the feel that Jacob and Andrea were the only two here. I enjoy watching them be silly and giggle today. Jacob always knew how to make Andrea laugh. We soon said goodbye to the park and headed to the plaza to enjoy the sunset. Andrea and Jacob showed up dresses to kill! 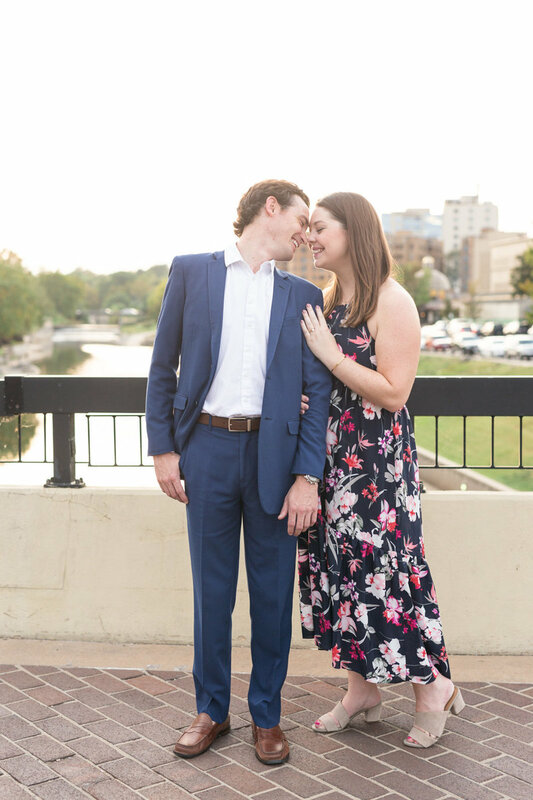 Jacob sported a blue suit and Andrea in a beautiful flowy floral dress. 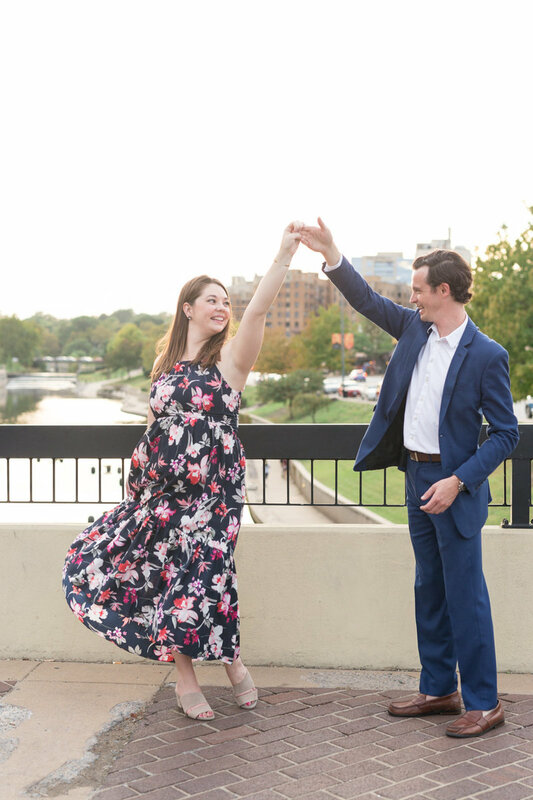 These two fit right in on the classy mosaic stairs and dancing in the sunset on the plaza bridge. 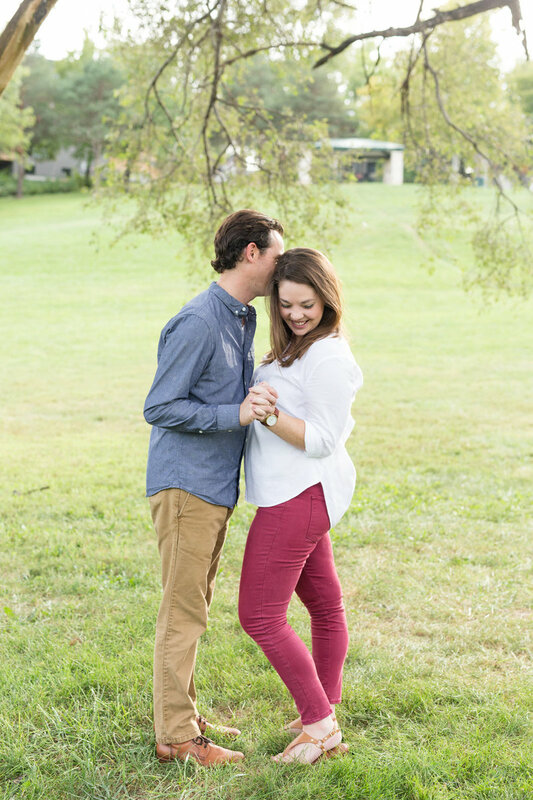 Though they allowed me to snap some serious pictures of them these two always gave off such a fun loving vibe. Jacob and Andrea, thank you for including me in your fun day and I am so happy for you to see how amazing you both look!